We may have assumed that Miley Cyrus’ new tattoo was simply a random tribute to her favorite flower if she hadn’t captioned the Instagram snap, “Vegan for life!” She also shared an image of the logo her tat was inspired by, which belongs to Vegan Society. 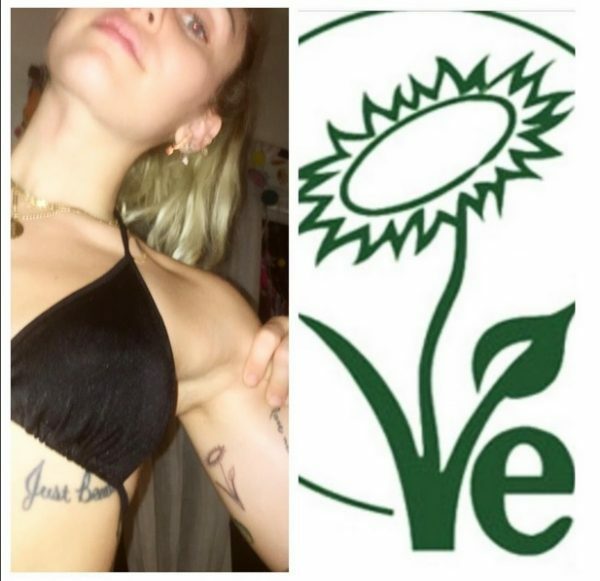 For the “V” in “Vegan,” the company uses the same sunflower image that now permanently lives on Miley’s arm. According to Liam, he did some research about cruelty to animals and decided on his own to join the ever-growing vegan movement. “Ethically, I didn’t feel good about supporting those industries. It’s not good for the environment, it’s not good for people and certainly not for animals.” Miley Cyrus’ new vegan sunflower tattoo joins several other pieces scattered across her upper left arm, including her “BIEWTY” tattoo for Cheyne Thomas, the “love never dies” tattoo on her bicep, and portrait tats of her Shetland Sheepdog Emu and deceased pet blowfish Pablow.